This Easter, be unpredictable, do something crazy and embrace your wild side! Twentieth Century Fox Home Entertainment presents an inspiring adventure based on a true story of one man who brought a zoo back to life and family back together in WE BOUGHT A ZOO, arriving on Blu-ray, DVD and digital download April 3. Directed by acclaimed filmmaker Cameron Crowe (Almost Famous, Jerry Maguire) and starring Matt Damon (Contagion, True Grit), Scarlett Johansson (Iron Man 2, Vicky Cristina Barcelona) and Thomas Haden Church (Easy A, Sideways), WE BOUGHT A ZOO is “a sweet-natured tale…that you’ll want to see with your kids” (Liz Braun, Jam! Movies). The American Humane Association monitors the treatment of animals on-set for film, television and commercials, etc and every Screen Actors Guild productions are required to provide safety representatives unlimited access whenever animals are used. If the production meets or exceeds the organization’s standards, the film is given the coveted “No Animals Were Harmed” disclaimer in the end credits of the film. We Bought a Zoo is one of the films that earned this certification for their ethical treatment of animals. To ensure the safety of the animals featured in the film, much of the action were filmed against a green screen, especially when predatory animals and humans were in the same scene together. Those shots were typically filmed separately and then digitally placed together later. In honor of the film’s DVD and Blu-ray release on April 3rd, we will explore five films that have received the same high honor. In the 2005 film adaptation of Lassie, starring Peter O’Toole, Samantha Morton and John Lynch, the Carraclough family is forced to sell their beloved collie to the Duke of Rudling due to economic hardships. 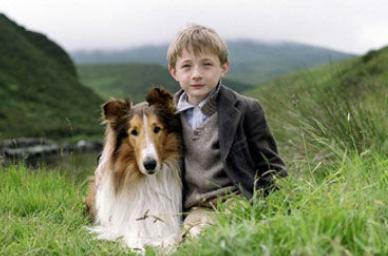 Suffering from mistreatment in her new home, Lassie runs away and embarks on a journey to go back to her family and loyal master. In the film, two nearly identical dogs were used and were alternated during the film, according to each dog’s skills. To ensure the dogs’ safety, all of the actors and crew were introduced to the dogs and received extensive handling instructions before production began. 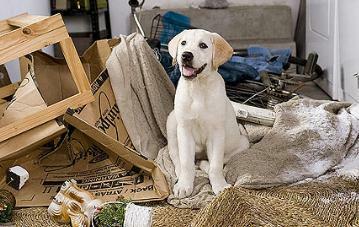 Marley and Me tells the story of newlyweds John and Jennifer Grogan. John surprises his wife with a new puppy, who grows up to become an energized but mischievous and naughty member of their family. As the Grogan family expands and Marley grows older, the family picks up some valuable life lessons from their “clearance puppy.” Several labradors were used for the role of Marley. Before filming started, cast and crew were instructed on how to properly handle each dog. During production, streets were closed off to traffic and all grounds and fences were inspected for safety purposes. 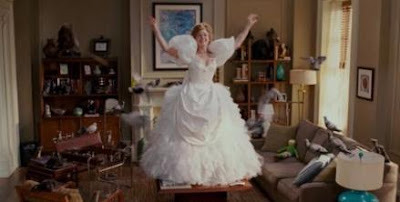 In Disney’s Enchanted, Giselle is a fairytale princess who lives in Andalasia, an animated fairy tale world where animals talk and happy endings exist. When an evil queen throws Giselle into a portal, she ends up in the middle of New York City, where she finds herself being rescued by a handsome, but hardened divorce lawyer. Several scenes called for numerous animals, sometimes of different breeds. For instance, one scene involved several rats. During rehearsals, stuffed prop rats were used. For the scenes in Central Park, the dogs seen in the background were all on leashes and their owners doubled as actors. In addition, the outdoor set was closed off to the public. In Steven Speilberg’s War Horse, a farmer’s son develops a bond with a horse that his father buys for their farm. 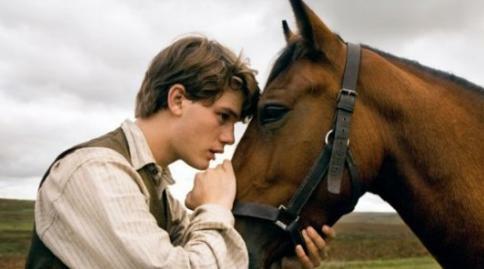 Young Albert trains the horse and calls him Joey and they become inseparable. However, when a rainstorm destroys the field, the family decides to sell Joey to a young cavalry officer in order to pay the overdue rent. As World War I emerges, both Albert and Joey find themselves in journeys that eventually will bring them to cross paths again. To ensure the safety of the animals in the film, animals were trained for weeks, some for months, for the action seen in the film. In addition, costumed trainers were in the scene during the filming and trainers stood just off camera. Mr. Popper’s Penguins tells the story of a businessman, Tom Popper, who’s sacrificed everything and worked his entire life to become the #1 real estate mogul in New York City. In the midst of closing the deal of his career, he gets an unusual gift from his father – six penguins that will unravel life as he once knew it. 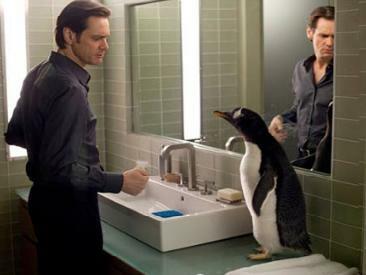 To ensure the safety of the penguins in the film, floors and props were disinfected each time before filming began. Actors, in addition, carried fish in their pockets to entice the penguins to stay near them or to follow when needed. **All information above was provided by the PR company promoting We Bought a Zoo! 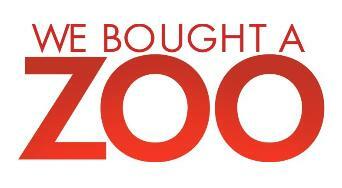 Stay tuned for my We Bought a Zoo DVD and original novel Giveaway to go live very soon!